DEADLINE EXTENDED TO OCTOBER 31! 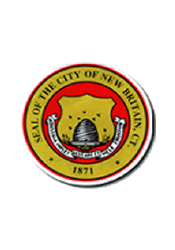 Mayor Erin Stewart and the New Britain Commission on the Arts are providing an opportunity for selected artists to display their work in New Britain’s City Hall. Selected artists will be provided space on the second floor of New Britain’s City Hall to hang their artwork from November 8, 2017, through March 30, 2018. Selected artists will be asked to change the art in their space with other work by them as works are sold or at least once during the time of the exhibition to keep their space fresh. Hanging of work using the system in place will be done during normal City Hall operating hours November 1 through November 7. The works of art will need to be removed during normal City Hall operating hours the first week of April, 2018. The Mayor’s Office and the Commission on the Arts will host an opening reception on Wednesday, November 8, 2017. The show will be given significant publicity via print and social media avenues. There is no fee for artists to be in the show. Please note that nothing can be affixed to walls. The gallery area has a hanging system that uses rods and a labeling system so artists can note their name and contact information and provide a title (if any), year of creation, materials used, and the price (if the work is for sale) for each work displayed. Sales will be handled by the interested party contacting the artist. Artists are asked to donate 20% of any sales to support the work of the New Britain Commission on the Arts, but this is voluntary. We encourage artists with a substantial connection to New Britain, e.g., they live or work in, or hail from, the City, to submit, but this is not required. Please attach to an email a cv or resume (Word or PDF formats) and 10 JPEGs of your work and send these to David Huck in the Office of Mayor Stewart at dhuck@newbritainct.gov. You may also include an artist statement. Please note that the Arts Commission will be selecting artists to show, rather than specific works of art. Each artist will be responsible to curate the space they are given in City Hall. In the title of the Jpeg please include materials and dimensions. So, for instance, Oil on Canvas, 12x36; or Charcoal on Paper, 8x10; or Photograph, 8x10. Titles for the works may also be included, but are optional. Deadline for submissions is October 31, 2017. The Commission will review all submissions and a slate of finalists will be presented to the Mayor who will select the artists to show in the space. Notifications will be made by November 3 and hanging will be November 8 through 14. The reception with be Wednesday, November 15. Please direct questions to Mayor Stewart’s Office at dhuck@newbritainct.gov or 860-826-3302.